Equipped with a double bed and is fully furnished and hygienic. The room gives you extra breathing space and fulfills all requirements that your family or friends need. 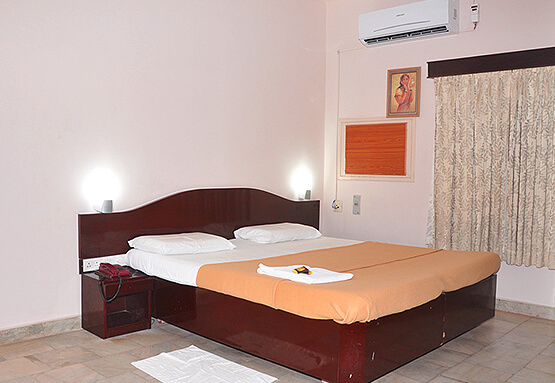 Our Utility AC Rooms are well maintained with all the modern amenities for a hassle-free stay. The Utility Non-AC Room is designed for the 2 occupants and is well maintained with all the modern amenities for a hassle-free stay. 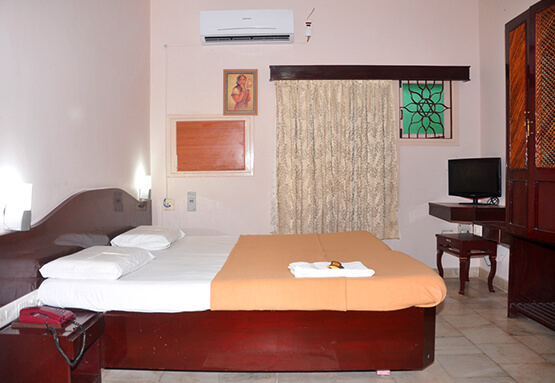 The rooms are elegantly furnished and accoutred for guests looking for a budget stay in Vaitheeswarankoil. The Comfort Air-conditioning Room is adequately spacious and clean, designed to accomodate 3 people. Our Comfort Rooms are the right upgrade for a summer stay. 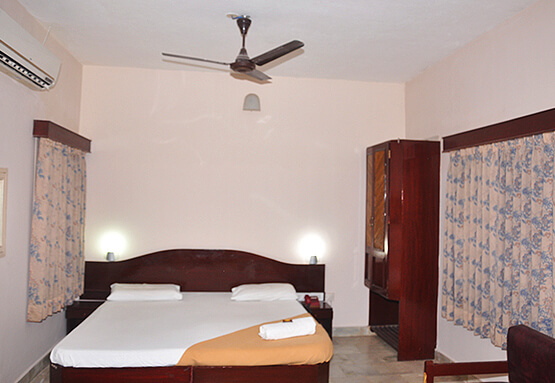 The rooms come with several standard amenities for added ease for the guests. The Comfort Room brings you one step closer to an all-around comfort stay and accommodates 3 people. The room offers clean ambiance and comfortable bed with the additional facility of air-conditioning. We provide you all the services and amenities you require to make your stay memorable.